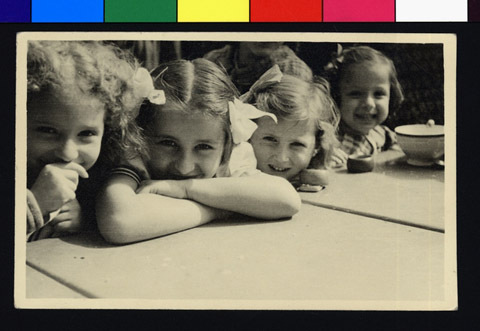 JDC - Archives : A group of young girls wearing bows at an OSE home for children. Title A group of young girls wearing bows at an OSE home for children. Description A group of young girls at a table in an OSE home for children in Montreuil. Working in conjunction with OSE, JDC funded 61 children’s homes scattered across France, supporting approximately 15,000 Jewish children of all nationalities.